Ten Years of Exercising Everyday! It was 10 years ago when I turned 40 years old, that I decided to start practicing freestyle footbag every day. I never imagined it would lead to 10 years of uninterrupted fun, but here I am ten years later, still playing every day. Step up your game... and protect yourself against the extra impact! The key to long-term health is eating right and exercising regularly. That is nothing new. We have known that for a while. I've been proving it myself by adhering to a vegetarian diet since 1991 and practicing freestyle footbag for over an hour a day since 2006. In that time, I've lost 50 pounds and I continue to improve my footbag game! Its not a secret that eating right and exercising regularly is the foundation of a long fulfilling life. The secret is in how to maintain it for the long term. In 1985 I had been practicing footbag so much it was causing pain in my shins. At the time, I didn't realize it, but putting Spenco insoles into my shoes became my hidden secret weapon against the kinds of impact related injuries that so many in my sport suffer from. I've recommended them to many others over the years, but now that I'm officially a Spenco product ambassador, I am shouting my message to anyone who'll listen... "No matter how you step up your game, protect your body from potential impact damage with a simple insert under your feet from Spenco." The same insoles that have kept me at the top of my game for 31 years and EVERYDAY for the past 3478 days in a row! Enjoy this recent video with footage from my adventures through Toronto, Amsterdam, Tampa and my home town of Chicago! You can't tell by watching, but every step is fueled by the new Polysorb UltraLite insoles by Spenco! Invest in your health, it's a small price to pay for comfort, health and athletic longevity! ​Ambition and Motivation combine to create success! When ambition and motivation overlap, together their true power can be realized! And as it turns out, their dictionary definitions refer to each other. And while the definitions of the words carry little more than an academic approach to the word, what I’m writing about is the emotional value they have to me. I have many ambitions. They are the things I’d like to accomplish. ambitions are narrow and focused. To me, ambition is a part of the big picture. My ambitions are what I hope to do in the future. While my motivations are rooted mostly in the past. My motivations come from the core values I’ve developed over the span of my entire life. Motivations are many, and sometimes vague. ambition gives me direction, but my motivations are what get me going. When my ambitions and motivations overlap, together they create change and real progress! For instance, a successful combination of ambition and motivation for me has been my long running career with the sport of footbag which started in 1983. I has been playing regularly, and when I turned 40, my ambition was to start practicing everyday, while my motivations were to stay in shape, and to continue to improve in my sport. On the day of this writing, I’m at 3386 days in a row and still going strong. Also still in shape, still improving and improvising. 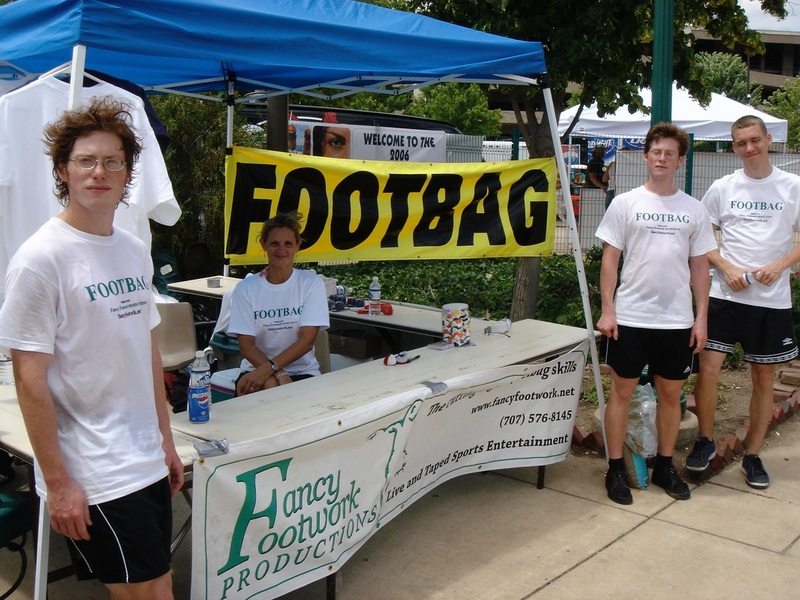 An unfulfilled example is my goal to set up a Not-for-Profit that advocates playing footbag as an activity for kids to have fun with, while passively reducing their weight and their chances of Type II Diabetes. I have yet to put together the funding, and to commit the time necessary to make it happen. In this case, my motivations are in place, but the ambition to start into action isn’t there. So nothing happens beyond talking about it. Actually, with the help of my wife and son, we are able to reach out to thousands of Chicagoan's each year. 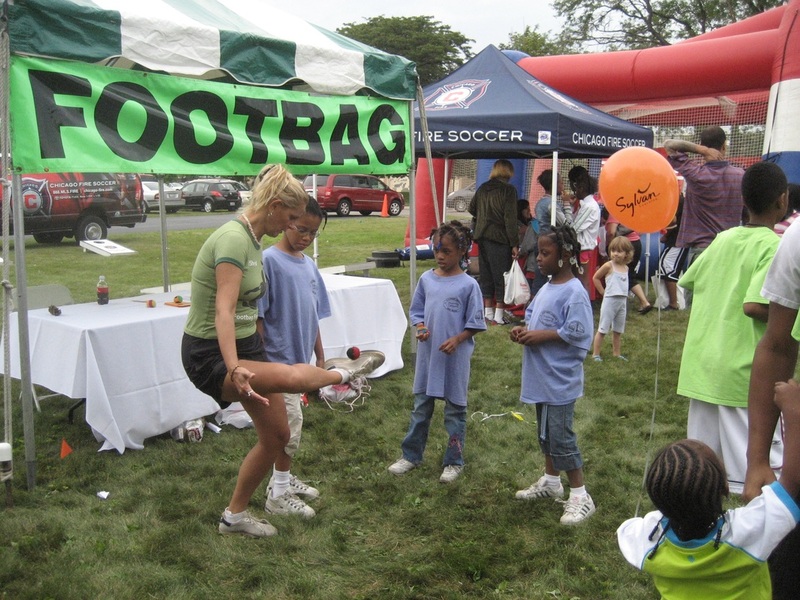 We host an annual booth at WGN TV's Back-To-School fair and many other events each year. Please support our long-time sponsor Dragonfly Footbags who have donated many hundreds of footbags so that kids in Chicago can not only have their first footbag experience, but take one home with them and practice to get better! My not for profit is so far unfulfilled, partly because my stated ambitions and motivations aren't yet complimenting each other. When my ambitions and motivations are in alignment, there is nothing that can get in my way! When I turned 40, over 8 years ago, I wanted to commit to something big! I am a freestyle footbag enthusiast... I had been to over 20 consecutive years of World Footbag Championships, I had been inducted into the Footbag Hall of Fame and I am the 1999 World Champion in Freestyle Footbag. At that time, I had been playing 3-5 times a week, but whenever I would take a day off, it seemed it took two days of training just to get back to where I was. So I decided to start playing everyday so I would never have to 'catch up' to where I was before I took a break. Here is a video that I shot entirely on my 3001st day in a row of shredding everyday! It turns out that exercising on a daily basis has many other benefits! I'm personally going for fitness, better health and a longer life! Oh, and you get pretty good at whatever you are practicing!!! Exercise alone is not the solution, but when combined with healthy eating (I recommend a vegetarian lifestyle) and drinking plenty of water! The result will be fitness, health and a longer life! Exercise keeps the mind sharp and the body young! But to get the benefits of exercise, you need to break a sweat everyday! What kind of crazy skills might YOU might achieve if you were to practice your favorite sport every day? I hope that you are inspired to start making the time to exercise every day! No excuses! My Early Working Retirement philosophy allows me to spend my spare time doing what I love to do, play footbag freestyle! Every minute away from 'werk' is like a vacation. 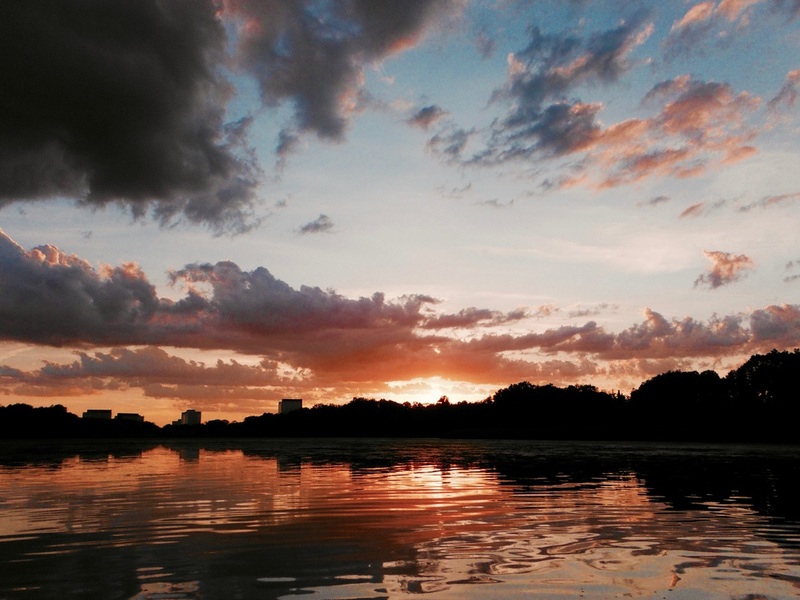 I spent the other evening enjoying the sunset at Montrose Harbor facing south towards the city of Chicago. What a beautiful night! Watch the video and use the coupon code 'Footbags' for $2 off your next custom made phone case at Carved.com. Part of being 'Early Working Retired' is really getting to enjoy every precious moment in life! Yesterday I was able to film a short session in a parking garage while it rained on the parking deck just 3 feet behind the camera. I had planned to get sunset footage on the day of the launch but that did not work out, so this will have to do. The way I figure it, I had a blast filming it, so that's all that matters. My own personal critique is that I did not angle the camera up high enough, nor did I stand back far enough. This is because I have recently been shooting with a GoPro Hero3+ and I need to stand very close to the camera unless I want to seem far away in the shot. Take a look at the footage, make sure you choose the high definition version from the Square button at the bottom right corner of the video. This is a great example of how the iPhone 6's new camera really looks in slow motion at full 1080p x 60fps. We are not trying to make a judgement on how the iPhone 6 performs, but we are giving you a good example of what to expect from an iPhone 6 in terms of the new camera features regarding slow motion video. Additionally, I shot a nice little sequence in 720p x 240fps (240 frames per second) to give you a great feel for the capability of the new iPhone 6. This video also offers a $2 discount off your next phone case at Carved.com with the coupon code "Footbags." When you are Early Working Retired, you can do whatever you want! And I spent the past 3 days filming and editing this short movie! Andy Murray at Wimbledon was caught on film doing 88 kicks in a row with a tennis ball! They challenged us to do better (the #copauppy challenge), and here is my 151 kick attempt with a bunch of amazing tricks I was able to pull off. I even started a new website to promote Tennis Foot Skills for kids! Please share this with your friends! Never did I think, "When will this end..."
Early Working Retirement is still working for me. I LOVE what I do! I spend 40 hours a week teaching, and I spend a good chunk of my 'spare' time promoting the sport of footbag! I am lucky, I have enjoyed my careers more than most people I talk to. I never feel like I can't wait until the day is over! I enjoy being at 'work' and at play. Here is a movie about our recent outreach to the wonderful people of Elkhart Jazz Fest in Indiana. We taught over 40 people who each got a free footbag from Dragonfly Footbags (footbagshop.com) so they can continue to practice on their own. This should give you an idea of what it is like for me to enjoy every minute of every day! Special thanks to my son Alex and my wife Valeria for all their help and understanding! Why Footbag (Hacky-Sack) is great for kids! 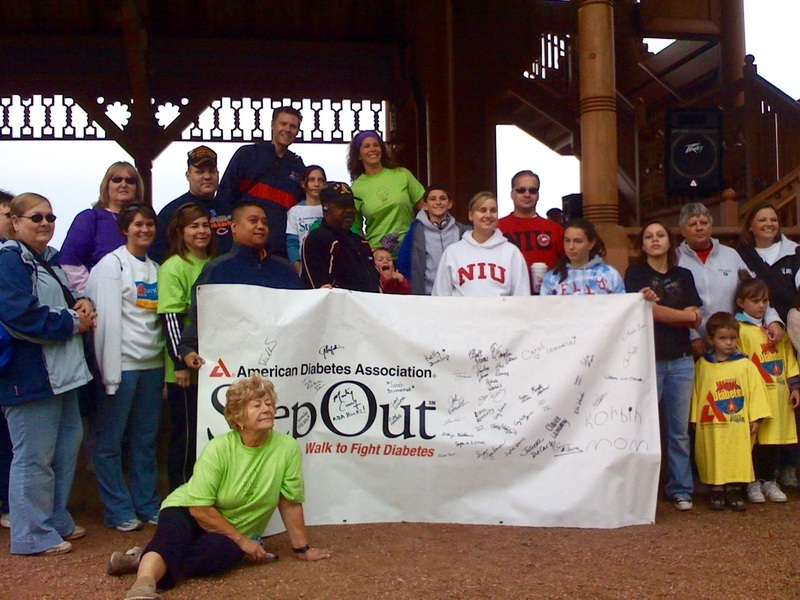 Exercise is the key to reducing childhood obesity and diabetes. Footbag is not only fun, but it counts as exercise. Watch as Dragonfly Footbags (footbagshop.com) has Scott 'Enlightener' Davidson teaching footbag to grade school children at Oxbow Elementary in Indiana.